Where the Night Kind Roam: Follow Friday: Do you judge a book by it's cover? Lets Face it, Christine Feehan has some of the WORST covers I have ever seen, this one might be the worst of the lot. It is so bad in my opinion I wouldn't even include it on my blog review. I grabbed the UK cover instead. LOL! It's a good thing Ms. Kresley Cole grabbed me with some of her later covers because the beginning of the series covers are cheesy and I would have never picked up the series, if I had seen these covers first. This is probably the cheesiest of the first few novels. Now for some cover art I LOVE! This one is from Gena Showalter and isn't out yet, but based on cover alone I can't wait! 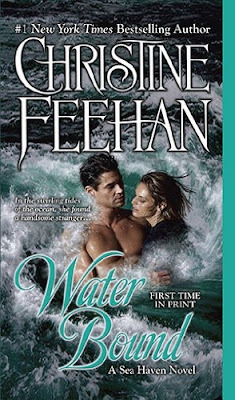 And for worst cover I think I have ever seen, again goes to Christine Feehan for a novel not yet out. I haven't read any in this series and based on covers alone I probably wont! The chick on the cover looks exhausted, the jungle theme is cheesy as hell. 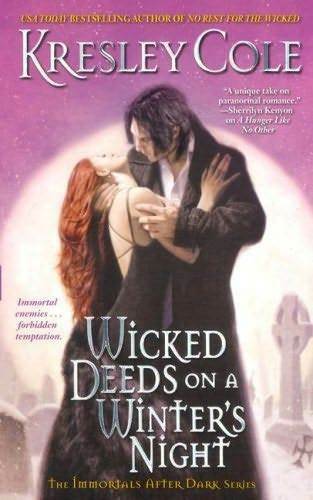 What was C. Feehan thinking when she approved this cover? I agree it's the cover that draws me in to the book. I like the shiny interesting looking covers. Savage Nature WHOAH! omg! ick! That Dark Taste of Rapture cover is yummy! Hopping through. New follower! I agree that the first Kresley Cole cover is pretty silly. Hello! Thanks for stopping by and for the follow. I am now following you back. You're right: those are not good covers, especially the last one. It looks a bit retro, and not in a good way. Happy Friday! Hi Amanda, thank you for stopping by my blog :) I'm following you now ;) Thanks for connecting and keep in touch! lol @ why would u wrap your hard work in crap!! I think some people have bad taste and super cheesy. I love the covers of those male they are super hot.. but thats besides the point, like i hate to pass by the adult romance section because those are some of the cheesiest covers.. It's a shame how a cover can totally ruin how your books sell. You have some really great cover examples. I have to agree on all of them. KC's covers did get better. And that last one by CF? Makes me feel a bit nauseous. Maybe it's a matter of expense. Maybe they're choosing people they can afford to do their covers. I'm just trying to be fair and think of logical reasons why they publish their work, as you put it, "wrapped in crap." Can they truly not see how bad they look? Thank you for the following! I returned the favor =) Have a great Friday! I think cover is about taste. But I never buy books based on its cover. But it's always nice to see great design in front. I think Author or publisher should pay more attention on this things. Yes covers do matter. In fact, I've decided to read Dark Enchantment because I love the cover, after seeing it here on your blog. :) I am following you now as well! I haven't read very much in the paranormal romance genre, so I'm looking forward to seeing your thoughts on these books! Haha I soo agree! Kresley Cole's first books were ugly - which put me off for so long until I saw how popular they were with everyone else. I love Dark taste of rapture's cover! Gena has some gorgeous covers out there. Hi Amanda thanks for following my blog via follow me Friday. I hadn't seen that Gena Showalter cover it is absolutely yummy. See that's me again judging a book by it's cover! I'm now a new follower. Hey Amanda just following back, Dark Taste Of Rapture....That is an awesome cover!! I pick books by their covers too! I am drawn to the really gorgeous covers. lol! Thanks for following! I'm following you in return! Hi Amanda! New follower here! Would love for you to follow me. Nice to meet you. Hello from a new stalker ... I mean follower, yes follower. I agree with you about the cringe worthy covers you posted, covers are important to getting me to notice a new book unless it's written by an author I know and like. Given the critical overload out there between the eBook/printed books markets all books need to provide the best cover then can in hopes of attracting attention their way even it's one they created themselves. I've seen a couple pretty good ones created by the author themselves. Not professional but given the examples you yourself posted that's not necessarily a bad thing. Thanks for vistiting my blog Im following here. I talked to a lot of authors and most of the time they dont really ahve a lot of say in what their cover is going to look like which is good and bad depending on how the artist sees their book lol. The covers of Christine Feehans look like 80s romance movies. I love that cover of Gena Showalter's. Gorgeous. LOL So they should pay more attention to the covers, since that's what catches readers' s eye in the first place. I'm a sucker for beautiful covers and though I hate the cheesy, cheap-looking ones, I happened to read great books with not so great covers. I completely agree with what you said. And I do think the covers of Christine Feehan's book are unattractive. Thanks for following! I'm following back! Happy Follow Friday! Thanks for becoming a follower of mine! I'm now your latest follower and look forward to talking more about my favorite genre. Hello!! 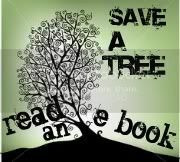 Thanks so much for stopping by my blog, Novel Addiction. It's great to meet you, fellow Amanda! I love that you provided examples with your answer - and I completely agree! I just recently bought the first book in Kresley Cole's series, so I hope to start that soon, when this pile o'review books is down to a more manageable molehill. Frankly, most covers/titles do absolutely nothing for me. I think many authors have no control over their covers, anyway. Thankfully, there are a lot great review sites, so I use them before I buy a book. Still, when will the day come that we are no longer tortured by fugly covers?